FIRST Quantum Minerals, the Toronto-listed firm, reported record copper production and sales for 2018 which came in 6% and 3% higher respectively year-on-year. Full year production totalled 605,853 tonnes which compares to output of 573,963 tonnes in the 2017 financial year. Sales were 596,513 tonnes (580,130 tonnes). The firm’s Zambian operations turned in solid performances. Kansanshi contributed some 251,522 tonnes to total production (250,801 tonnes) whilst sales from the operation were 229,832 tonnes (267,700 tonnes). Sentinel produced 223,656 tonnes (190,683 tonnes) and sales of 238,211 tonnes (177,360 tonnes), the company said in a production update today. The company, however, is facing significant headwinds in the current financial year following a change in royalties and duties as per the Zambian government’s national budget. It said it would retrench 2,500 staff from its Zambian mines in the first quarter. 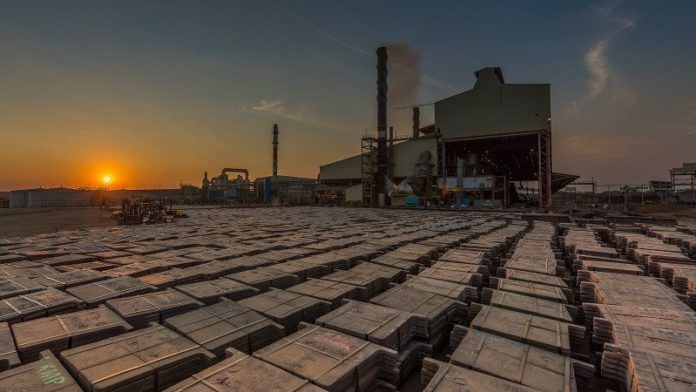 In its national budget in September, Zambia announced it would increase the mineral royalty rates by 1.5%, introduce a fourth tier rate at 10% when the copper price exceeds $7,500 per tonne, and make royalties on minerals non-deductible for tax purposes. Zambia’s Chamber of Mines said on December 20 that the effective tax rate Zambian miners would be paying would range between 86% and 105% putting 27,900 jobs at risk. More than half of the country’s copper mines would be unprofitable next year, it said. Copper output will be flat next year and will start declining from 2020 as a result of the tax increases, Sokwani Chilembo, CEO at the Chamber of Mines, told Bloomberg News. The industry group has forecast production of 820,000 metric tons for this year, he said. Copper accounts for more than 70% of Zambia’s foreign-exchange earnings, the newswire said.